Kano Pillars’ Junior Lokosa, who has a knack to score at least a goal in every two matches, is among the 30 players listed by Super Eagles’ Manager, Gernot Rohr in Nigeria’s provisional list for the Russia 2018 World Cup. Super Eagles Skipper, John Obi Mikel, who plays for Tianjin Teda of China, leads the 30 players expected to fight for inclusion in the final 23-man team for the World Cup. Others in the list released yesterday by the Nigeria Football Federation (NFF) are goalkeepers Ikechukwu Ezenwa (Enyimba FC), Francis Uzoho (Deportivo La Coruna, Spain), Daniel Akpeyi (Chippa United, South Africa), and Dele Ajiboye (Plateau United). 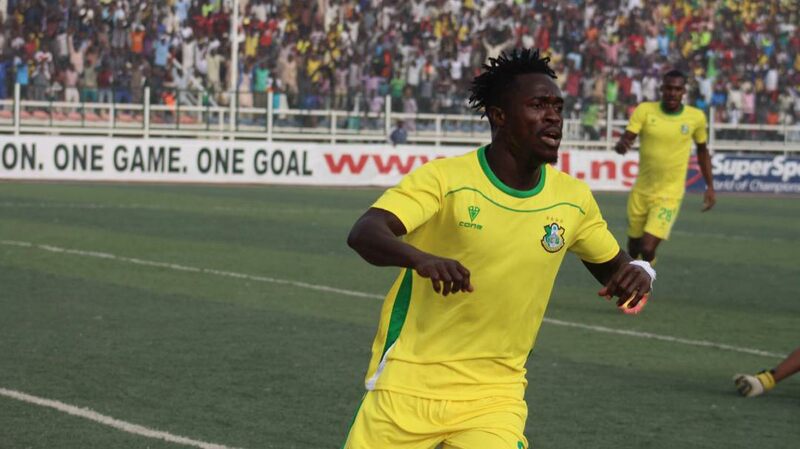 Lokosa has taken the Nigerian Professional Football League (NPFL) by storm this season, with his goals accounting for Kano Pillars exalted position on the league table. Lokosa is the only home-based outfield player in the squad, which has no room for Al Ahli’s Junior Ajayi or Everton’s Henry Onyekuru. AIso in the squad are defenders Abdullahi Shehu (Bursaspor FC, Turkey); Tyronne Ebuehi (Ado Den Haag, The Netherlands); Olaoluwa Aina (Hull City, England); Elderson Echiejile (Cercle Brugge KSV, Belgium); Brian Idowu (Amkar Perm, Russia); Chidozie Awaziem (Nantes FC, France); William Ekong (Bursaspor FC, Turkey); Leon Balogun (FSV Mainz 05, Germany); Kenneth Omeruo (Kasimpasa FC, Turkey) and Stephen Eze (Lokomotiv Plovdiv, Bulgaria). Joining Mikel in the midfield are Ogenyi Onazi (Trabzonspor FC, Turkey); Wilfred Ndidi (Leicester City, England); Oghenekaro Etebo (UD Las Palmas, Spain); John Ogu (Hapoel Be’er Sheva, Israel); Uche Agbo (Standard Liege, Belgium); Joel Obi (Torino FC, Italy); and Mikel Agu (Bursaspor FC, Turkey). The attackers are Ahmed Musa (CSKA Moscow, Russia); Kelechi Iheanacho (Leicester City, England); Moses Simon (KAA Gent, Belgium); Victor Moses (Chelsea FC, England); Odion Ighalo (Changchun Yatai, China); Alex Iwobi (Arsenal FC, England); and another newcomer, Nwankwo Simeon (Crotone FC, Italy). According to the NFF, the team is expected to assemble at the Le Meridien Hotel and Golf Resort, Uyo on May 21 to begin the final preparation for the World Cup, which will kick off on June 14 in Russia. Meanwhile, Nigeria’s group opponent at the World Cup, Argentina has also released its provisional squad with Dybala and Icardi included as part of what will be a formidable attacking force if all the names go. They join Sergio Aguero, Lionel Messi and Gonzalo Higuain in the group of forwards. The midfield includes some of the biggest stars from Europe’s top leagues, among them Lucas Biglia, Ever Banegra, Giovani Lo Celso and Angel di Maria. Javier Mascherano will play a part in the defence, alongside Premier League champion, Nicolas Otamendi and others including Marcos Rojo and Gabriel Mercado.